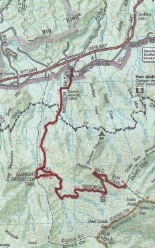 Total Hike: 15.1 miles Total Hike Time: 7:32 Avg. Pace: 2.0 mi./hr. One of the great things about living in East Tennessee is the passing of the seasons. And of the great things about being near 5,000-6,000 ft. mountains is the passage of seasons in one hike. 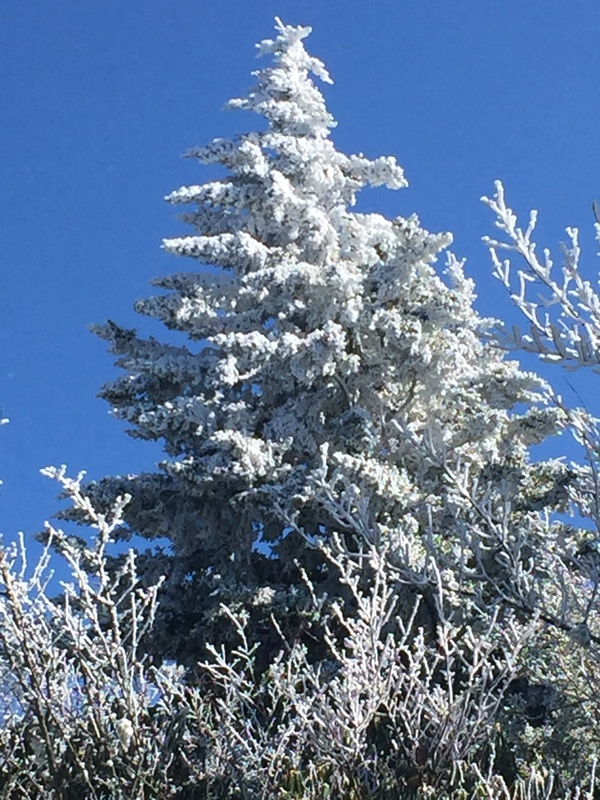 February 27 was one of those days where at 1,800 ft., there were near springlike conditions. My hiking partner for the day was Annie O’Grady, a 900 miler to be with about 47 miles left on her first map. She needed Maddron Bald and I had not bagged it yet for map #2. Maddron Bald can be part of a nice 21 mile backpacking loop out of Cosby Campground along with Snake Den Ridge and Gabes Mountain Trail. We chose an out-and-back. There is ample water along the trail and in fact, there are at least 3 potentially wet stream crossings. Campsite 29 is also on this trail. The first challenge was actually finding the trailhead. You travel nearly three miles on US 321 out of Cosby and you have to be vigilant for a left turn called Baxter Road. Keep to the right while passing through a residential section you come across a very small parking area at the trailhead. The Brown guidebook mentions that the parking area may not be safe but I have never had a problem. Our hike started at 9:00 am with a brisk 35 degrees. 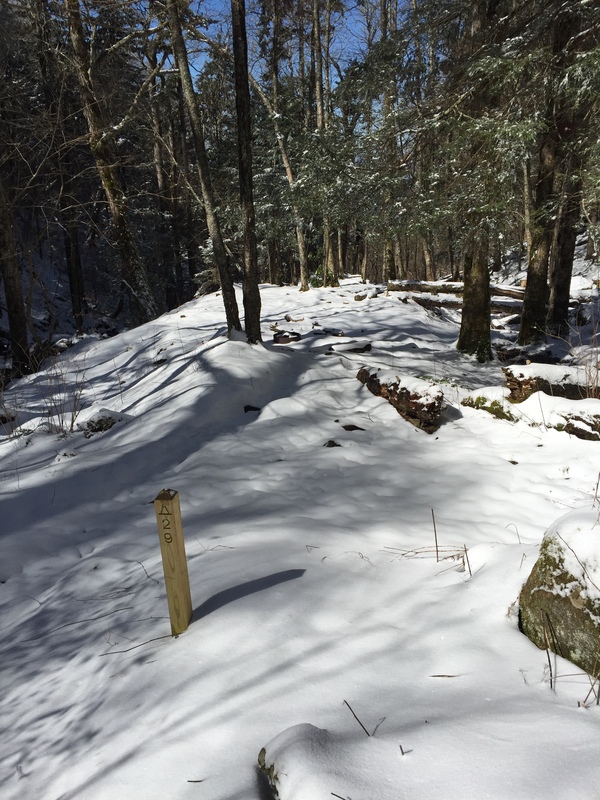 The trail starts out as a wide double track and rises gently for the first mile through mixed hardwoods.. At 0.7 miles is the William Baxter Cabin dating back to 1889. The Brown Book mention the cabin was built out of American Chestnut, perhaps even out of one tree. These impressive giant tree people died out in the early 1900’s due to an Asian fungus called the Chestnut Blight. Oh how our park would have been different with these gentle giants roaming the ridges. There may be hope as several research projects are underway to develop a blight resistant Chestnut tree but our generation will never see them in their original glory. The best we can hope for is to once again greet them as we saunter. The trail begins its steady 500 ft./mile climb about a mile in and by at 1.2 miles is the intersection with Old Settler’s Trail. By 2.0 miles, the trail become more single track and the climbing continues steady. 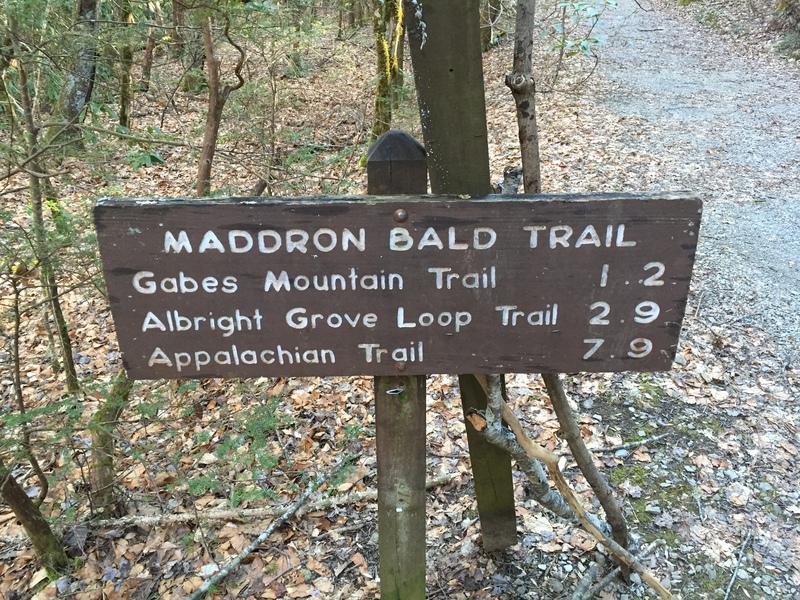 At 2.9 miles, you intersect with the lower part of the Albright Cove Loop Trail, a 0.7 mile loop that connects back to the Maddron Bald trail 0.3 miles further up. 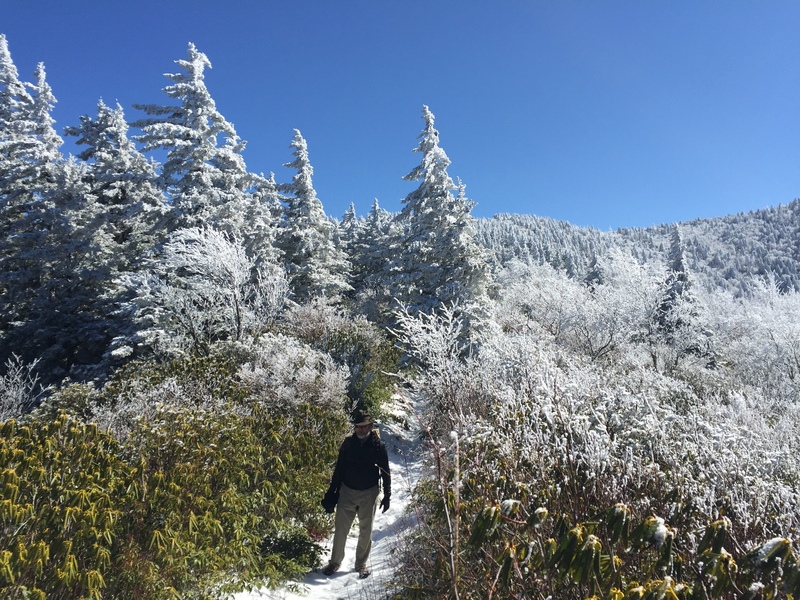 According to the Brown Book, this short trail was named for Horace Albright who was the second director of the National Park Service and a strong advocate for the establishment of the Great Smoky Mountain National Park. 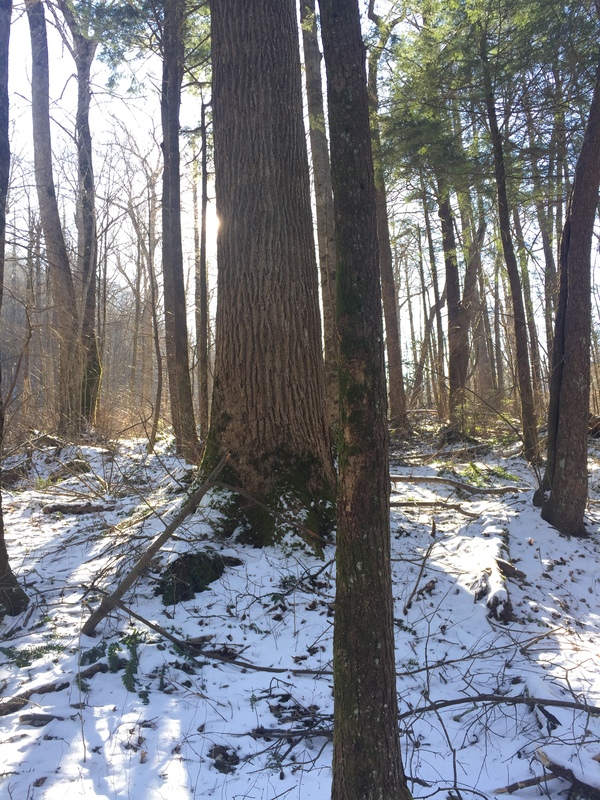 The grove is home to numerous examples of old growth trees such as Tulip trees and Eastern Hemlocks. At 3.1 miles, you cross Otter Creek. The thing about crossing streams, especially in the winter, is that you have an incentive to rock hop as much as you can. The problem with winter rock hopping is that the rocks, although ordinarily slick, can become coated with thin, invisible ice. My contention is that I fall into the water more often when rock hoping, than I do when I plunge right on through, accepting the fact that I will get me feet wet. This is the bargain I have made with creation. Water is good. The chances of getting your feet wet in any case are good. Proper equipment and planning makes hiking with wet feet, even in the winter, a reasonable, if not somewhat comfortable option. In this case our rock hop was successful. The trail crosses Indian Camp Creek three times over the next two miles. At 4.7 miles, you have your second opportunity to moisten your feet at Coppoerhead Branch. 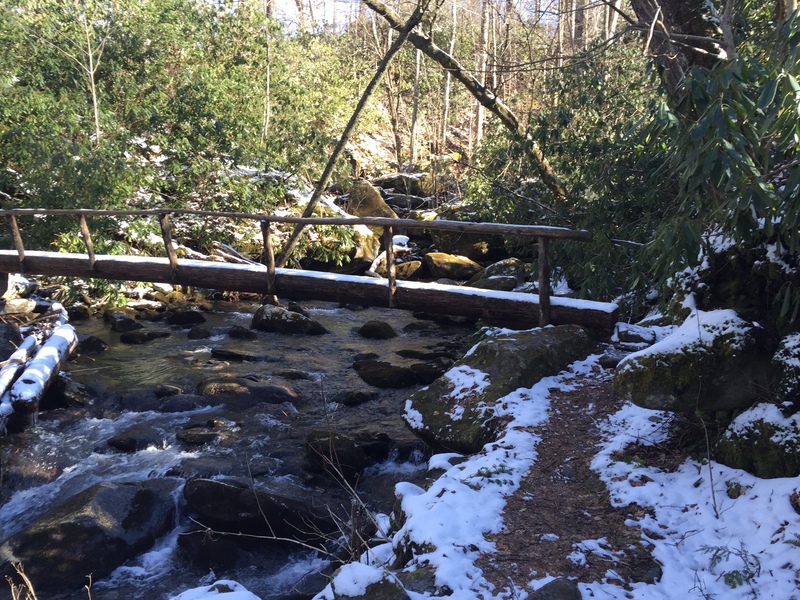 At 5.7 miles, you cross Otter Creek again in another wet crossing before you reach Campsite 29 at about 4,600 feet. CS #29 is small but it seems to nice spot. By this time there was about 6 inches of snow on the ground and the campsite was covered in a white frozen blanket. The trails narrows and become rocky until at about 6.3 miles, Maddron Bald opens up with fantastic views at nearly 360 degree. 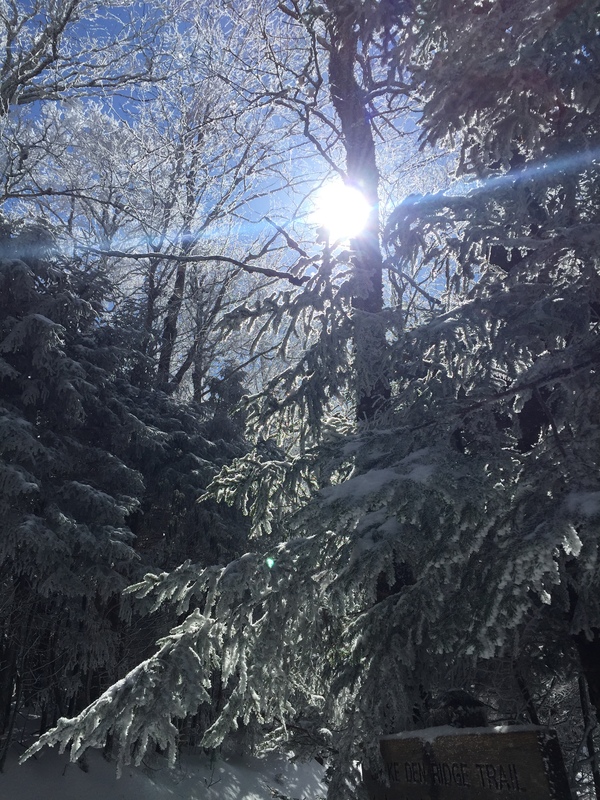 We were hiking in about 8 inches of snow by this time and the trees were covers in a beautiful dusting of the stuff. The trail intersects with Snake Den Ridge where we took our lunch in the deep snow before heading back down. Be well. Do good. 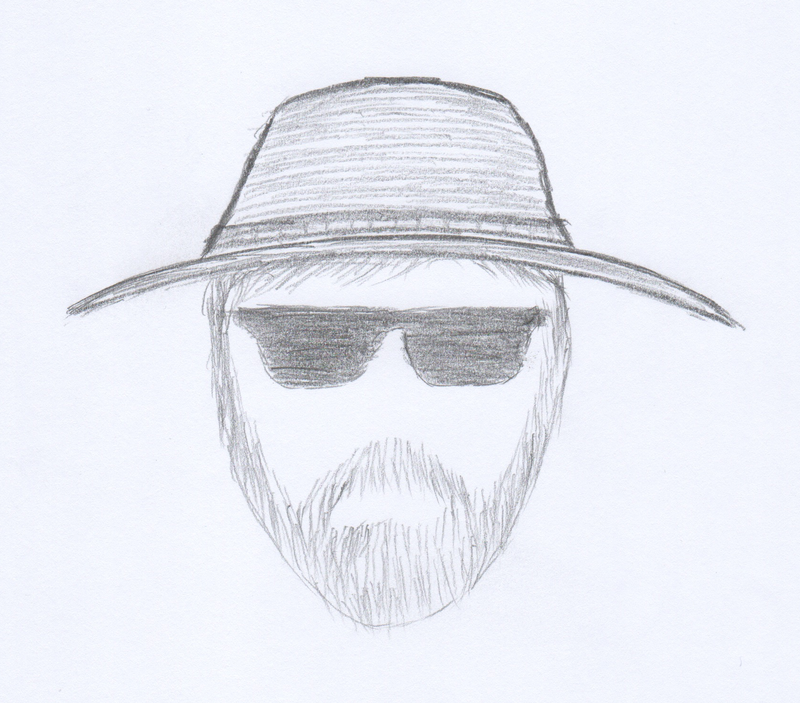 Strider out! 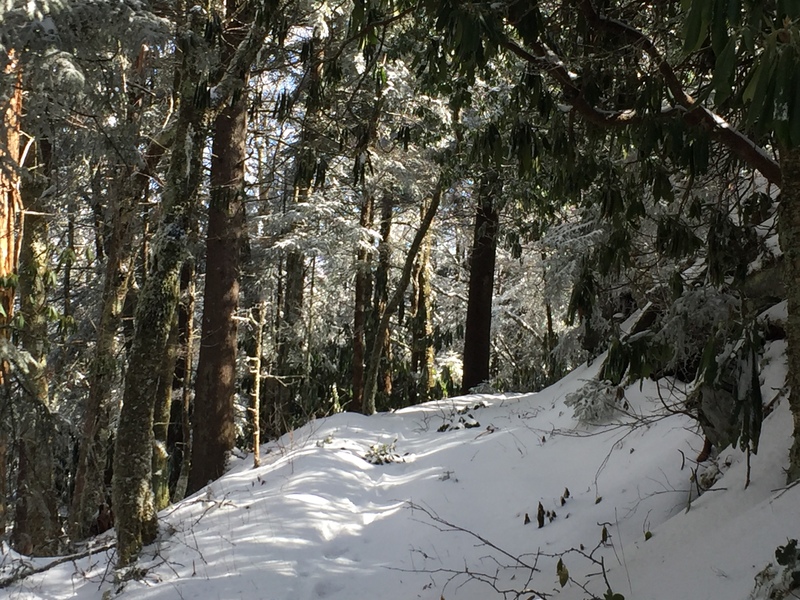 This entry was posted in Trail Log and tagged Albright Grove Loop, Campsite 29, Maddron Bald Trail on March 26, 2016 by blogginggazelle.